Stephen J. Smith is an award-winning screenwriter and author. He grew up in Wisconsin, intrigued by the idea of angels and their ongoing war, as well as being an avid reader of genre fiction, comic books, and spending most of his youth at the movies. While studying animation, he was soon convinced to try writing. His first short story was published, his first collection of short stories won an award, and the writing bug took a firm hold. He moved to Los Angeles and studied screenwriting for both feature films and television, and now writes for both fiction and the screen. He currently lives in Wisconsin with his wife and daughter. 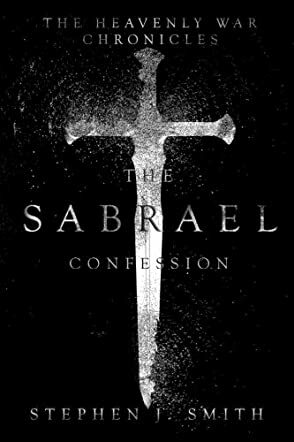 Stephen J. Smith’s The Sabrael Confession is an enthralling piece of fiction. Sabrael is commissioned by Michael to write about his life as an angel of the Lord. It is a fearful, yet inescapable request to conjure up the past, to share memories. Sabrael resplendently steps back to the beginning, a time when Heaven was new. Everything was in perfect harmony, until the Fall. Lucifer believes that he has transcended to God’s level, and converts a host of angels to follow him. God casts Lucifer and the fallen angels into the void of Hell. Everything changed. Heaven must now be protected, fortified. The demons prepare. The fallen soon break free from Hell and roam Earth. All of God’s creation is in danger! But, the Almighty has a plan for salvation. A group of seven angels is dispatched to Earth, on a mission to protect the “Son.” The seven angels are all that stand between the Son and the fallen. The angels are to observe, protect and defend, but never interfere. This is easier said than done when so much is at stake ... because among the fallen are whispers of a mysterious gateway that will allow them to ascend into Heaven. Sabrael and the other angels become divided in task and, at times, in devotion. Protect the Son, destroy the gateway. Nothing could prepare them for what lies ahead. Stephen J. Smith is a fabulous storyteller. The Sabrael Confession is a heavenly, earthly, and hellish fantastical tale. Reeling the reader in instantly, the Prologue contains a taunting narrative hook. The narrative is written in first person from the perspective of the main character. This proves to be a captivating technique. Who wouldn’t want to see the world through an angel’s eyes! The reader is easily caught up in the story. The characters brought out an emotional response (a sign of a well-written story). At times I was frustrated, at others spell-bound. The setting changes locations and spans eons of time, moving the plot action at an accelerated pace. Smith’s training in animation and screenplay is obvious; the novel is full of vivid and detailed descriptions, creating a visual storyboard. He paints spectacular views, opening up the world of Heaven, ancient cities, and landscapes from across the globe. Furthermore, he masters the portrayal of battle scenes - the clashing of weapons, the speed, the cries, screams of pain, the slaughter that seems to never end. The Sabrael Confession catapults you through time, leaving a lasting, reverential impression, to wonder what is battling just beyond our human realm.